The Medieval City of Rhodes was listed in 1988 as a World Heritage Site and as such it must be preserved and developed in the context of an integrated large-scale plan that on one hand maintains its unique character, and on the other it blends the preservation of the Medieval City with the development of the modern town of Rhodes. 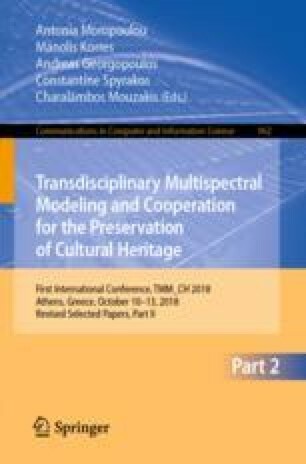 This paper presents a programme for the sustainable preservation of the Medieval City of Rhodes in Greece. The programme is based on the renovation and reuse of listed buildings and will contribute to the further development of circular economy initiatives. It is self-funded, and its benefits are expected to be in the Medieval City fortifications, the moat, the walls, the infrastructure, provision of subsidized public housing and other relevant projects in the City of Rhodes. A total of 300 buildings comprise the programme’s scope. They will be renovated and reused in two phases. The first phase comprises four projects and is envisioned to have a time horizon of 25 years and has in its scope the renovation and reuse of 150 of the 300 available buildings. Once renovated, the buildings will be put to four types of use: Tourism and Recreation, Private use of emblematic buildings by international and other organizations to promote extroversion, Commercial use to revitalize traditional arts and crafts and Public housing. A program to renovate and reuse these buildings has been formulated and is proposed to be implemented in the context of the decree by the Minister of Culture (October 2017) who has set up a committee prepare a framework contract to that effect between the Ministry of Culture and the Municipality of Rhodes. Three public interest partners have already been involved in the project: The Fund of Archaeological Proceeds, TAP, the Local Development Enterprise of Rhodes – DERMAE, and the National Technical University of Athens – NTUA. The remaining planning stage challenge for the Ministry of Culture and the Municipality of Rhodes is to determine the scheme under which the public interest partners can collaborate with private interest partners to generate and share value while at the same time preserving the buildings.